Not quite two months old, our Heros are still insisting on growing up. 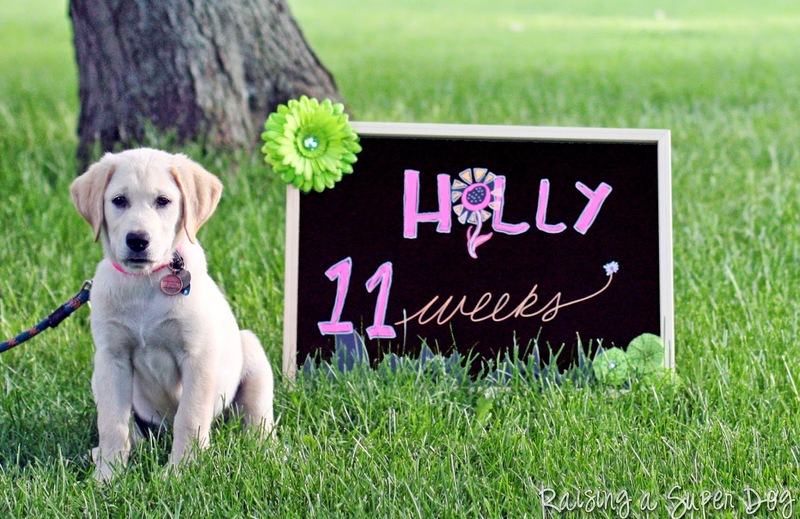 The Canine Companions for Independence Hero Litter - Holly, Harvest, Harpo, Hala, Hoagy, Harbor and Hudson - are across the country with their puppy raisers now and ready to rock the world. Here's our Miss Holly at her Eleven Week photo shoot, looking all sassy and ready to prey on another inappropriate choice to chew upon in the great outdoors. While I admit to have lowing my standards on permitting the occasional bug nom nom, we did put the ixnay on sticks and twigs. There's a certain cringe factor when one imagines how such things could gum up the delicate innards of a growing pup. Looking happy at 11 weeks. Well hey, Bailey. Thanks for stopping by and a Happy WW to you! 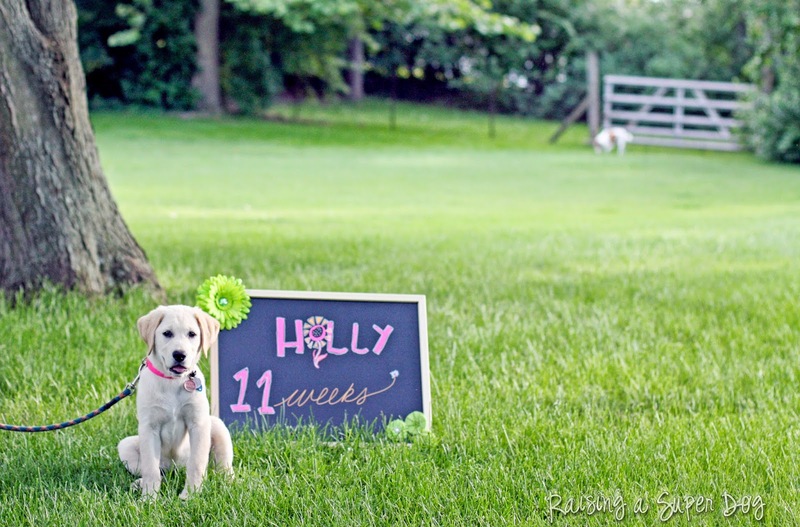 Miss Holly is half golden, so we're thinking that she came by the sassy honestly. I dunno. What do you think, Sugar? Is the the Lab or the Golden genes?